The Washington Redskins will look reload for the 2017 season, starting with free agency. New talent from around the league will be brought in and some familiar faces will return. Here’s the list of those who have officially signed. Stay up to the minute with all the deals officially in the books, and be sure to check back with Redskins.com for continuing 2017 free agency coverage. Also, be sure to follow us on Twitter and like us on Facebook. Offensive Lineman John Kling (April 6) While the Redskins already had a strong offensive line in place entering the offseason, the team picked up 6-foot-8, 320-pound offensive lineman John Kling in early April. The Buffalo product went undrafted in 2016 before signing on with the Chicago Bears last summer. He would spend the offseason in Chicago before being waived in late August. The 23-year-old signed with the Arena Football League’s Philadelphia Soul in early 2017 before Washington signed him on April 6. Kling has a few similarities to backup tackle Ty Nsekhe, as he’s the same size as the Texas State product went undrafted and spent time with the Soul. Kling appeared in 34 career games during his collegiate career from 2012-15. Linebacker Zach Brown (April 3) For the second time in as many offseasons, the Washington Redskins added a Pro Bowler to the defensive unit with the addition of inside linebacker Zach Brown. 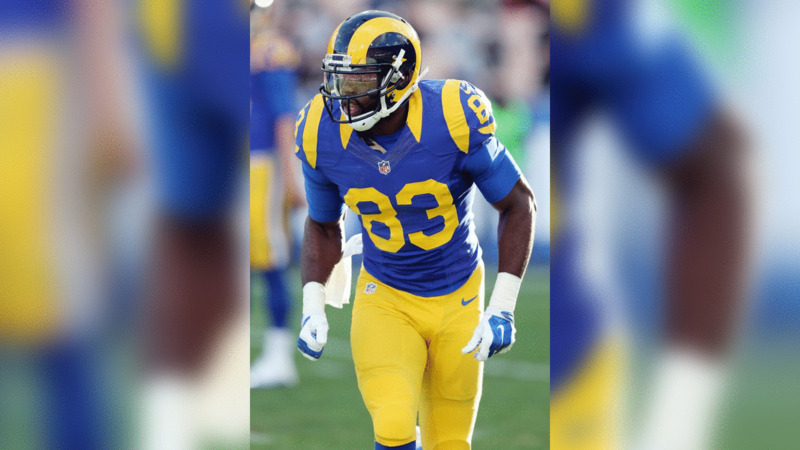 A native of Columbia, Md., Brown returns to the Washington, D.C., area after splitting the first five seasons of his NFL career between the Tennessee Titans (2012-15) and the Buffalo Bills (2016). Brown excelled in Buffalo, as his 149 tackles were the second most in the NFL last year. He also earned AFC Defensive Player of the Week honors in a Week 4 against the New England Patriots, recording 17 tackles along with two fumbles forced and a sack. Brown has appeared in 65 career regular season games with 49 starts, compiling 408 career tackles (291 solo), 17 passes defensed, 14.0 sacks, seven interceptions (two returned for touchdowns), four forced fumbles and three fumble recoveries. He played collegiately at North Carolina, starting 23 of the 47 games in which he appeared for the Tar Heels. He recorded 230 career tackles (19 for loss), seven interceptions, 5.5 sacks, four passes defensed, three forced fumbles and a fumble recovery. The Redskins continued to add significant size to the offense for the 2017 season, signing 6-foot-3 wide receiver Brian Quick to a free agent contract on Friday, March 24. Check out these photos of wide receiver Brian Quick. Quick, 27, recently completed his fifth season in the NFL – all coming with the St. Louis/Los Angeles Rams – recording career highs in receptions (41) and receiving yards (564) while also tying his personal best in touchdown receptions with three. For his career, Quick has caught 105 receptions for 1,499 and 10 touchdowns. Washington’s receiving corps has changed quite since the 2016 regular season finale, as six-foot Pierre Garçon and 5-foot-10 DeSean Jackson signed with the San Francisco 49ers and Tampa Bay Buccaneers respectively. In their place, 6-foot-4 Terrelle Pryor Sr. and Quick have been signed in free agency. Tight ends Jordan Reed and Vernon Davis, of course, are also big targets that quarterback Trent Williams will take advantage of against opposing defenses. 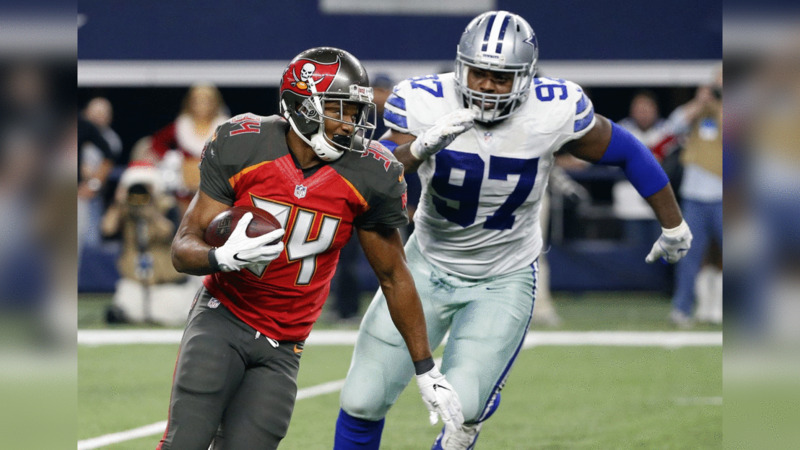 The Redskins added veteran linebacker to the offseason roster, signing Fresno State product Chris Carter. 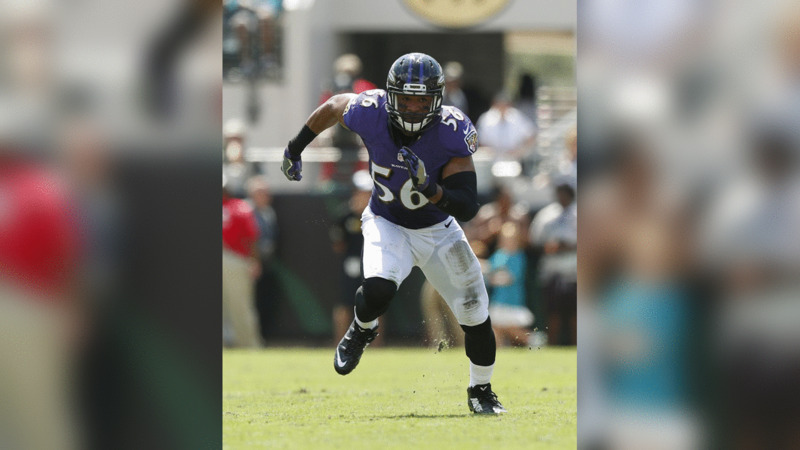 Carter has appeared in 62 regular season games, splitting his time between the Pittsburgh Steelers, Indianapolis Colts, Cincinnati Bengals and Baltimore Ravens. 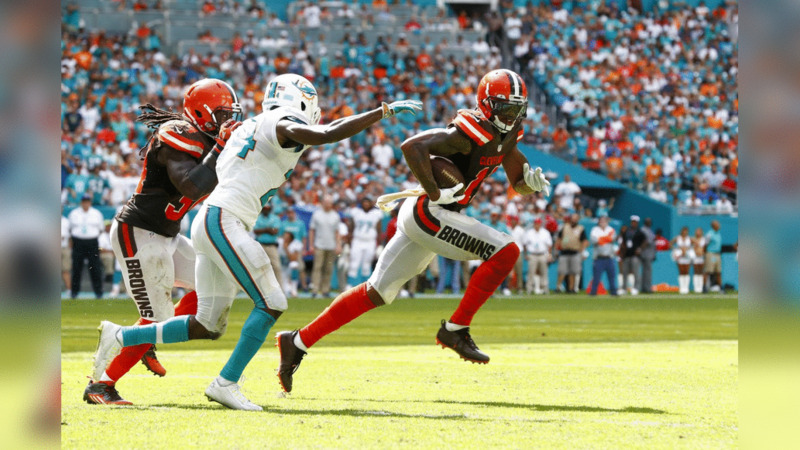 The Redskins added one of the largest wide receiver threats in the NFL today, signing wide receiver Terrelle Pryor Sr. Check out these photos of Terrelle Pryor. The 6-foot-4, 223 pounder originally entered the NFL as a quarterback out of Ohio State, and even threw for nearly 2,000 yards during the 2013 season. But with the prospects of longevity under center looking bleak, Pryor Sr. decided to transition over to wide receiver in 2015. Last year, he recorded 77 receptions for 1,007 yards and four touchdowns despite playing with five different quarterbacks. He led the Browns in all three receiving categories and was one of only 25 wide receivers to hit the 1,000-yard mark. Pryor played collegiately at Ohio State, posting a 31-4 record as the Buckeyes’ starting quarterback. During his collegiate career, he accounted for 76 career touchdowns, including 57 passing, 17 rushing and two via reception. Redskins.com: Redskins Sign Wide Receiver Terrelle Pryor Sr.
Redskins.com: Video Highlights: Terrelle Pryor Sr. 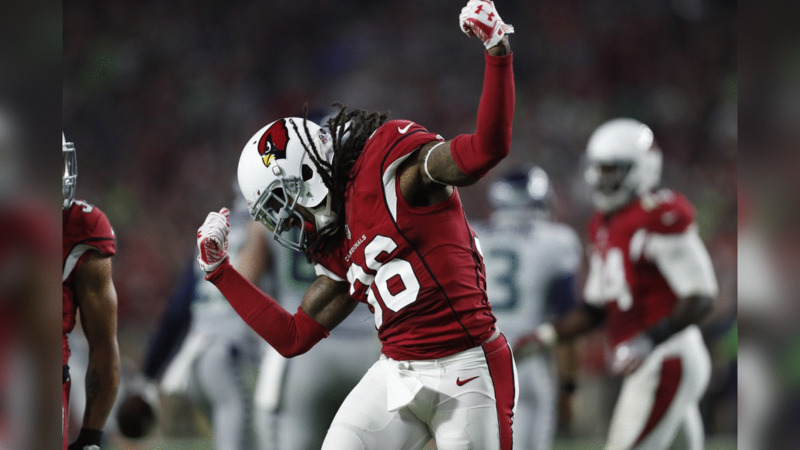 The Washington Redskins have added a big hitter to the defense in the form of safety D.J. Swearinger. Check out these photos of safety D.J. Swearinger. Swearinger, 25, originally entered the NFL as a second round pick in the 2013 draft out of South Carolina. He has appeared 59 regular season games over five seasons between the Houston Texans, Tampa Bay Buccaneers and Arizona Cardinals. For his career, the 5-foot-10, 205 pounder has recorded 229 tackles along with 19 passes defensed, six interceptions, five fumbles forced and three sacks. The addition of Swearinger provides the Redskins another veteran safety along with Will Blackmon, DeAngelo Hall and Josh Evans. Second-year USC product Su’a Cravens is expected to make a full-time move to safety as well after spending his rookie season in a situation role as a backup inside linebacker. 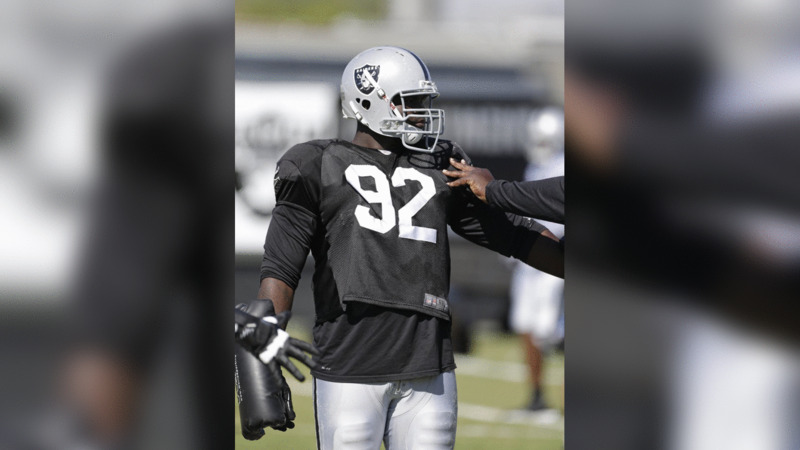 After four seasons with the Oakland Raiders, defensive lineman Stacy McGee is heading to the East Coast, signing a deal with the Washington Redskins. McGee, 27, was drafted in the sixth round of the 2013 NFL Draft out of Oklahoma. In four seasons with the Raiders, the 6-foot-3, 310 pounder has recorded 63 tackles along with three sacks and two fumbles forced in 51 regular season games. Redskins.com: New Addition Stacy McGee Hopes To Build More History In D.C. The Washington Redskins added another big body to the defensive line early in free agency with the addition of the 6-foot-2, 302-pound Terrell McClain. The Redskins have signed defensive tackle Terrell McClain. Take a look at photos from McClain's career. For his career, McClain has collected 90 tackles (58 solo) along with eight tackles for loss, three fumbles forced and two fumbles recovered. He originally entered the NFL as a third-round pick out of South Florida for the Carolina Panthers and also has played for the New England Patriots, Houston Texans and, most recently, the Dallas Cowboys. In 2016, the Tampa, Fla., native set career highs in tackles (40) and sacks (2.5). McClain would record a career-high 1.5 sacks in a 28-14 victory over the Cincinnati Bengals in Week 5. McClain joins a defensive line that will now be guided by veteran position coach Jim Tomsula. While Chris Baker’s future in Washington is uncertain at this time, McClain will play alongside a group that includes Ricky Jean Francois, Anthony Lanier II and Matt Ioannidis among others. The Redskins brought back arguably their most important backup offensive lineman on March 20, signing exclusive rights free agent Ty Nsekhe. Nsekhe was an off the radar signing for the Redskins back in early 2015, as he hadn't appeared in an NFL game since 2012 when the Texas State product appeared in two games for the St. Louis Rams. But over the last two seasons, Nsekhe has not only made the active roster, he's appeared in 29 regular season games with six starts. During the 2016 season, Nsekhe started in place of a suspended Trent Williams for four games. For his career, the 31-year-old has appeared in 31 regular season games along with a playoff appearance against the Green Bay Packers last January. One of the pleasant surprises for the Redskins during the 2016 season was the production he provided for all 16 games. Despite being a first-round pick for the Pittsburgh Steelers in 2009, Hood struggled to stay on the field in 2015, limited to a stint on Injured Reserve with the Jacksonville Jaguars (he would later be released) and then just two games with the Chicago Bears. Hood’s presence in Washington was felt quickly, as he had one of the best training camp performances of any player on the 90-man roster. Not only did he earn a spot on the active roster during the season, he finished the year with 33 tackles along with three passes defensed and a fumble forced. Painter, 27, originally joined the Redskins as a practice squad addition before being called up to the active roster in October. The Virginia Tech product appeared on 10 offensive snaps during the season. Painter was tendered as an exclusive rights free agent along with Ty Nsekhe on Feb. 28. With his return, the Redskins currently have nine offensive lineman currently on the offseason roster, as he joins tackles Trent Williams, Morgan Moses and Isaiah Williams along with offensive lineman Ronald Patrick, guard/center Spencer Long and guards Brandon Scherff, Arie Kouandjio and Shawn Lauvao. Painter played collegiately at Virginia Tech from 2008-12, appearing in 32 career games with 13 starts – all coming during his senior season. He earned honorable mention All-ACC honors by the league’s coaches. 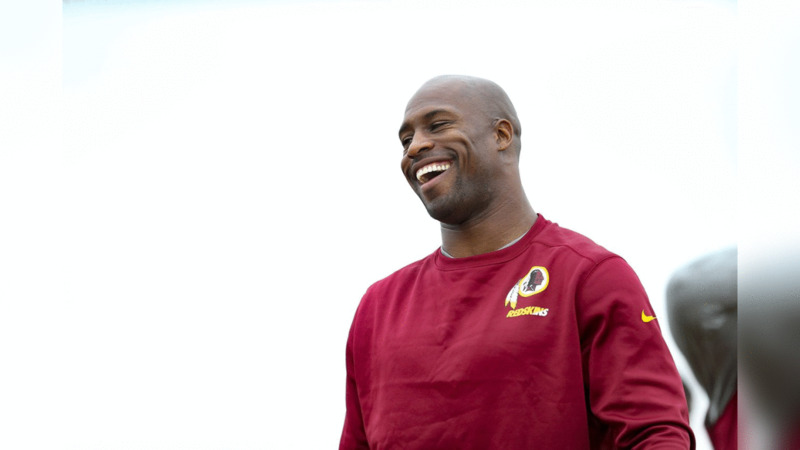 Vernon Davis’ stay in Washington, D.C., will continue for the 2017. Re-signed by the Redskins just one day prior to the official start of free agency, Davis’ return keeps Washington potent one-two punch at tight end intact. Despite struggling to adjust following a 2015 midseason trade from the San Francisco 49ers to the Denver Broncos, Davis showed in 2016 he has quite a bit left in the tank, as he caught 44 passes for 583 yards and two touchdowns. For the second time in as many years, the Redskins have placed the franchise tag on starting quarterback Kirk Cousins. Take a look at the top photos of Kirk Cousins from the 2016 season. 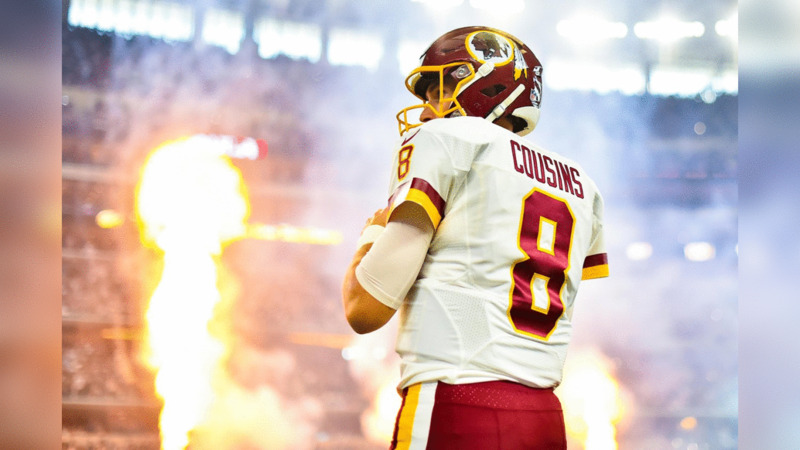 Cousins has been on a record-setting pace over the last two seasons for Washington, passing for 9,083 yards and 54 touchdowns to just 23 interceptions. Cousins has settled in as one of the more accurate quarterbacks in the NFL as well, shedding the previous turnover-prone label that was applied to him through his first three seasons when he threw more interceptions (19) than touchdowns (18). Under Cousins’ guidance last season, eight different players also finished the season with at least 500 yards from scrimmage, tying the 2011 New Orleans Saints for the most in a single season in NFL history. He is also the only player in franchise history to win multiple NFC Offensive Player of the Month awards. Cousins, 28, is entering his sixth NFL season after being selected by the Redskins in the fourth round (102nd overall) of the 2012 NFL Draft. Take a look back at the top images of the Washington Redskins' special teams from the 2016 season. 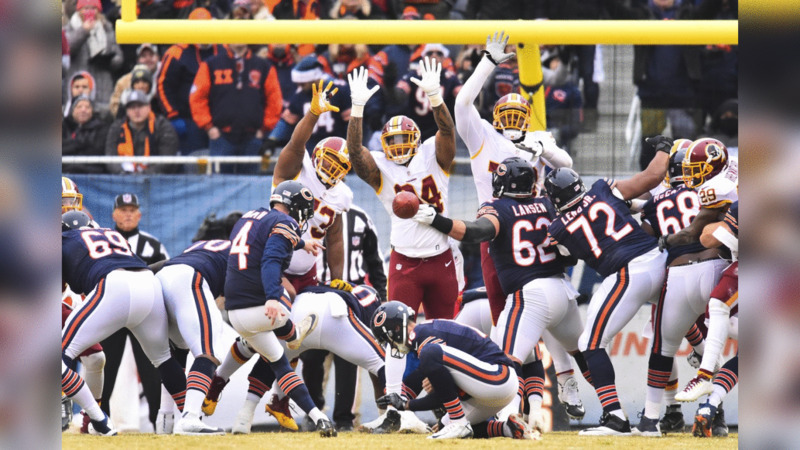 Known as one of the best long snappers in the NFL today, the Washington Redskins announced on Monday that they have re-signed Nick Sundberg. Sundberg, 29, recently completed his seventh season with the Redskins after originally signing with the team back in 2010. In his Washington tenure, Sundberg has appeared in 91 games including 41 straight between the 2014-16 seasons. Sundberg has been one of the team’s veteran leaders and his steady snapping ability has allowed Dustin Hopkins and Tress Way confidence that the ball will be placed in the right place at the right time.